I am a freelance illustrator / graphic designer. Since creating MindKillerInk, I have had the pleasure of working with over 200 bands and brands around the world helping them succeed with their dreams by providing quality designs at affordable prices. I attended The Art Institute of Pittsburgh earning my bachelor of science degree in graphic design, as well as several awards. In addition to earning a bachelor degree, I also interned at Ocreations design agency in Pittsburgh in 2013. Kraken makes beautifully crafted dice with many different designs. Their dice come in glitter, fusion, stratum, and many other styles. Their Dwarven Craft dice are sturdy, metal, and beautifully decorated with enamels. textures, and some even glow in the dark! Get your set today! 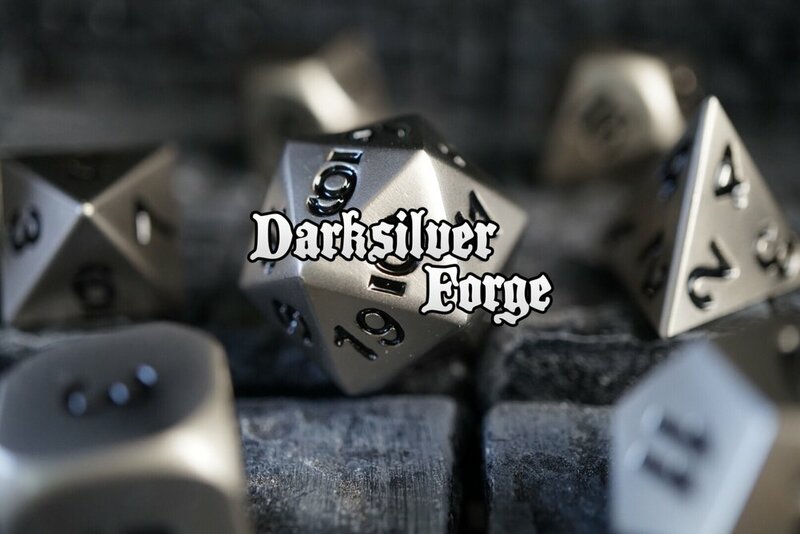 At Darksilver Forge, we create high quality products for people like us who play Dungeons & Dragons, Pathfinder Roleplaying Game, Ravenloft, and other tabletop RPGs and board games. Vindsvept is an instrumental musician hailing from Sweden who creates various pieces to use in movies, gaming, etc.